WTF Is the Cloud, Anyway? "Just save it to the cloud!" You've heard this, probably in the same sentence with some other obnoxious tech buzzwords. Run out of space on your iPhone? Buy some more space in the cloud! Your mom can't figure out how to email you photos from her dog's birthday party? Upload them to the cloud! But, do you actually understand what exactly the cloud is, or how it works? There's no shame -- it's confusing as hell. To clear things up, here's what you should know. First things first: you cannot reach out and touch "the cloud." That's because it's not a physical object in space, not some gigantic hard drive in the sky, but rather an enormous network of remote servers all around the world that we are all constantly saving and retrieving data to and from via our high-speed internet connections. It represents a fairly fundamental computing concept -- that the sharing of resources ultimately optimizes overall performance. And while most of us have probably only started hearing the term "cloud computing" within the last decade, it was actually coined by Compaq engineers back in the '90s. Back in the day, if you wanted to save documents or photos, you had to save them to your computer's hard drive. That meant going through and pruning your Napster library, high school essays, and digital camera pics every once in a while to free up enough space in order to save something new. Or maybe you'd burn them to a CD or offload the big stuff to an external hard drive. Now, thanks to dramatic improvements in internet speeds, you rarely have to save a thing to your machine. Instead, we stash space-sucking files in the cloud, and seamlessly stream content from it via services like Spotify, Netflix, Dropbox, and Google Drive. Content -- whether it's your favorite TV series, a hot new album, your vacation photos, or that complex spreadsheet you've been putting together for work -- is still physically saved, just on a server somewhere else, ready for you to access it whenever you're online. Rather than operate their own servers independently, most of the web's most popular apps, services, and sites (including the one you're reading right now) pay to have their traffic and data hosted remotely in the cloud, which is not only more efficient, but also protects against outages and costly downtime. 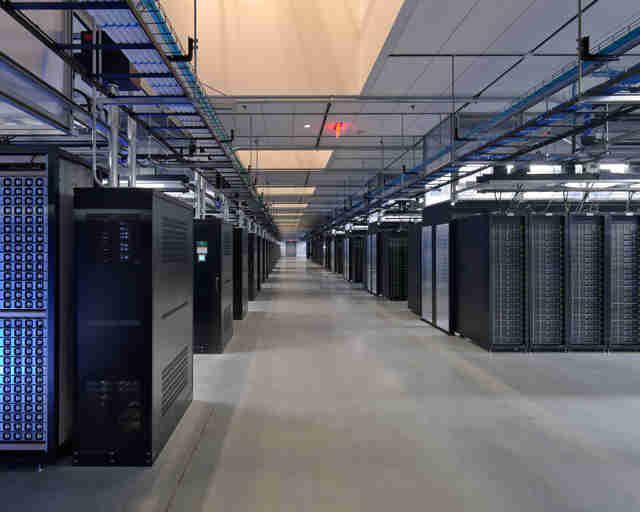 These cloud-hosting services are a huge cash cow for tech giants like Amazon, Microsoft, and Google, all of which have the resources to operate huge networks of data centers filled with servers they can charge third-party customers to use. To give you an idea of just how massive these ventures are, Amazon's cloud-hosting arm alone is estimated to operate some 2 million servers in secret data centers around the world, and can single-handedly run enormous services such as Netflix's entire streaming operation. So really, your uninterrupted Stranger Things binge on Netflix was only possible thanks to Amazon. 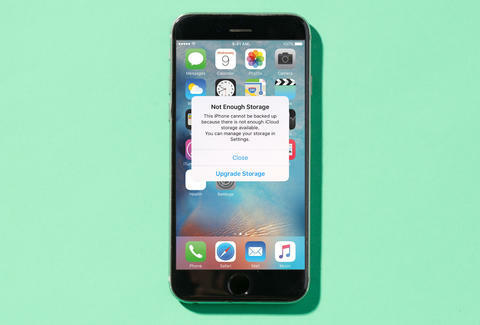 Although the big cloud storage companies are minting money off of our storage needs (hell, Apple's getting 99 cents a month from most of us who've hit our iCloud quotas), experts warn that we're hurtling toward a reality in which there won't be enough space in the cloud to stash all the data we're creating. Our ability to produce massive amounts of data is far outpacing how quickly we can build the servers to host it -- just think about how much space a single photo taken on a top-notch smartphone camera takes up these days. Joe McGauley is a senior writer for Thrillist. His favorite clouds are cumulus, thanks for asking.